Should You Get Botox & Other Injectables At A Spa? Botox and other injectables like Dysport have become more widely available at spas, not only at medical spas but also some day spas and even resort spas. But should you get them there while you're on vacation? What should you look for? First, it's important to understand what Botox and Dysport are: cosmetic forms of botulism toxin that are injected around expression lines (the creases caused by frowning, scowling, smiling or looking surprised) to diminish their appearance or keep them from forming. Botox and Dysport work by blocking the nerve impulses that tell a muscle to contract, and the more that is injected, the less the muscles are able to move. The three most common areas for Botox injections are between the eyebrows, the forehead and next to the eyes, where "crow's feet" form. Botox can improve your appearance and prevent the formation of deep expression lines that make you look older. Botox will not help fine lines or wrinkles that are not due to facial expressions. If you habitually scowl or make another expression that is causing expression lines, consider Botox to retrain your muscles starting in your 20s. But you can't prevent fine lines and wrinkles by starting young. Is It Safe To Get Botox At A Spa? Make sure the spa is using real Botox from Allergan. Ask when the Botox was diluted with sterile saline solution. It's best to get your injection the same day, though it will last up to a week. After that the Botox is less effective. Make sure the spa asks you fill out a form that helps the doctor identify any contraindications, or reasons why Botox wouldn't be appropriate for you. It should also inform you of risks. Make sure there is a consultation so you both agree on where the Botox will be injected, how much will be used, what the results will be, and how much it will cost. Ask how conservative or aggressive they are in the amount they use. Watch to make sure the person doing the Botox injection follows proper sanitation standards. This includes working on sanitized surfaces, washing their hands, using fresh needles just out of an opened pack, cleansing the skin with alcohol before the Botox injection, and wearing gloves during the injection. Prices vary greatly. Some spas charge by the unit -- $12 - $15 is common -- and the cost will depend on how much they use. Dr. Yang takes a conservative approach and starts with 8 to 10 units between the eyebrows and 10 to 20 units in the forehead. Other spas charge by area -- $300 for one, $575 for two, and $800 for three, for instance. Generally paying by the unit is more cost-effective. The effects of Botox usually last three to six months, gradually wearing off. You can use the period of inactivity become more conscious of your expressions and retrain your muscles not to frown. The muscle also gradually gets weaker, and you may not need as much Botox. About 1% of people develop antibodies to Botox and it becomes less effective, or completely ineffective, with time. 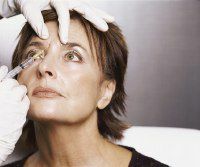 One early warning sign is when your Botox wears off after two or three months. If this happens to you, try Dysport as an alternative the next time you go in.